The "Stasi headquarters. Campus for Democracy", as it is known today, used to be the seat of power for the East German secret police. But who worked here? What role did the archive play in the system of mass surveillance? And what’s happening at this historic site today? The tour combines an overview of the historic site with a visit to the exhibition "Access to Secrecy”. The area has been witness to rapid changes in the last decades. At first the secluded headquarters of the Ministry for State Security for 40 years, the buildings were then occupied by citizens in January 1990 with the aim to secure the Stasi records and prevent their destruction. After the German reunification this former place of repression became a space for reflection reappraisal of the past. 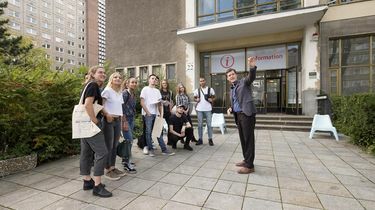 Together the Stasi museum, the Stasi Records Archive, the open-air exhibition "Revolution and the fall of the wall" by the Robert-Havemann-Gesellschaft and other initiatives form the "Campus for democracy", an educational site addressing dictatorship, resistance and democracy. 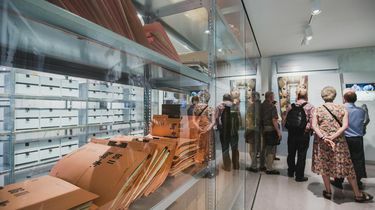 The exhibition "Access to Secrecy" is the newest addition to the "Stasi headquarters. Campus for Democracy” and is located in the historic "Haus 7" adjacent to the original archive building.